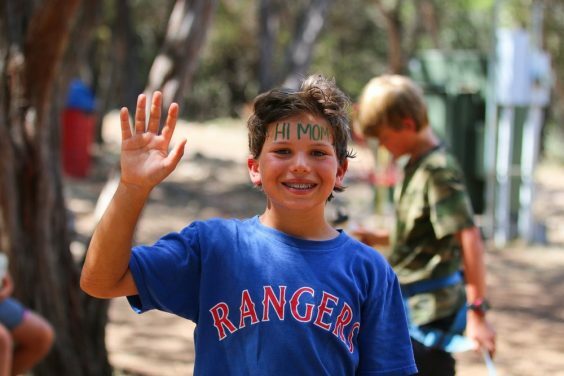 There is always something fun going on at T Bar M Camps in the Texas Hill Country. Of course, there is the side the campers see – the colorful carnival night, pool parties and sports games, water balloon tennis and bouncing on the blog. But from the administrative angle, there is the constant care and attention that a camp who impacts 37,000 lives each year requires. There’s taking care of homesick kids, skinned knees, daily schedules, cabin assignments, camp upkeep, camper recruitment. The list is endless. But one of the most important tasks is the yearly fundraising for the camp. And this year, through the initial pilot summer partnership with Waldo Photos, the camp was able to reach their goal of $75,000 for their Bless a Coach scholarship program. “Our goal for the “Bless a Coach” scholarship fund is to encourage and bless our faithful coaches (the camp’s counselors) as they work to complete their college degrees,” said Walt McCord, Director of Development at T Bar M.
“(The Waldo) gift was an important part in encouraging new individuals to engage with T Bar M as donors and thus expand the amazing legacy provided by our coaches,” McCord said. How does the camp fundraising model work? Waldo is an app and photo platform that uses facial recognition to match camper faces to photos in their camp album. It is an optional service for families, who simply submit their camper’s session code and headshot to the service. As soon as photos are securely uploaded to the day’s albums, Waldo matches the faces to the photos and delivers each camper’s family their camper’s photos via text or in-app notification. In the platform’s first summer at camp, Waldo delivered more than 30,000 photos to 1,500 camp families across five pilot programs. Through the camp fundraising model, Waldo shares 50% of all proceeds with camps to go toward scholarships or a charity of their choice. “With the extra boost we received from Waldo, we were able to reach our goal through matching and now can turn around and send $500 back to each of our coaches for their college expenses,” said Alice Myer, Director of Marketing for the camp. See how Waldo can add value to your camp with new photo technology and an exciting fundraising model. Visit the Waldo Camps website for details.